When you don’t get satisfaction from customer service, make your own. WARNING! This picture might make you cry! That is exactly what the owner of this Lamborghini Galladro L140 did. 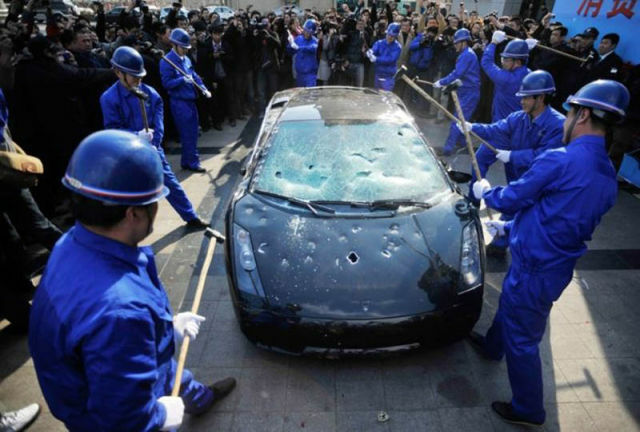 He didn’t even blink an eye when he had a construction crew come in and destroyed his car, it didn’t bother him that it was worth $529,000 – $757,000 dollars. When the Lambo didn’t start on November 29th, he had the dealer come with a flatbed to come and picked it up to take it in for repairs. When the car was returned it still didn’t start, and the owner found noticed that the bumper and chassis had been damaged probably during the towing. When the owner talked to the dealer about the problems, they blew him off. The owner tried to contact many avenues to get satisfaction. He contacted the Asia- Pacific region sales service manager, and even the brand owner Volkswagen group. 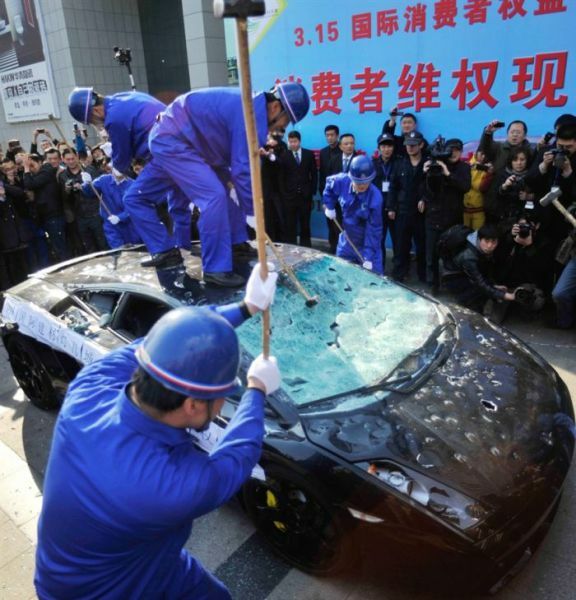 The owner hopes that by destroying his car, that it will raise consumer awareness about how the Chinese are being treated. 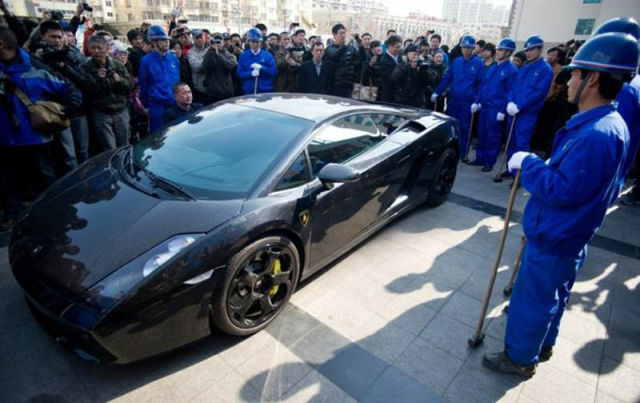 He says that the Chinese are able to consume luxury items, but aren’t getting the service that they deserve. Well, by doing that did he got what he wants? Stoopid, but this should've been so awesome for the guys who destroyed it. Nice avatar btw. "WARNING! This picture might make you cry!" they forgot to turn the key.. I do it to Chinese products every day.